Want to Break Into Marketing? 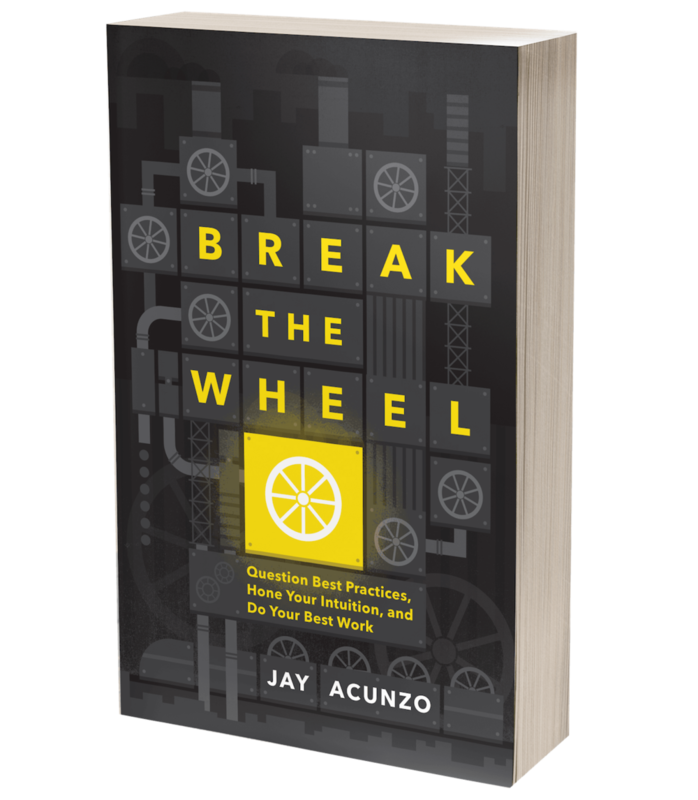 Crucial Things to Do in the Next 30 Days — Jay Acunzo | Author. Speaker. Maker of Shows About Work. Today, I got this great question: "I've been trying to break into marketing. Any advice?" 1. I didn't intentionally "break into" marketing. I just kept following different roles that let me write for a living, and here we are. Anywho, mini-existential crisis aside, I didn't want to leave my Snapchat friend hanging, so I offered to send him an email. I'm sharing the short note below because I've found myself giving this advice more than once, and I see them as the foundational layers you need to do anything else in your search or your career. FAVOR: I'd love if those with experience in the field could leave a comment to supplement my answer! It'd help both my friend and anyone else reading this. Note that instead of answering the big, scary, open-ended question, "How do I break into marketing?" I thought it'd be more useful to answer the question, "What can I do in the next 30 days to greatly increase the likelihood that a hiring manager would respond to my application?" Make sure you set up LinkedIn, Twitter, et al to reflect your best self. Attend a ton of networking events. Good things happen when you know good people. Here's the group I started that you might consider checking out: boscontent.com // also check the events calendar at bostontweetup.com // like your content creation, start putting yourself physically out there too. To everyone reading this in blog post form: The big message I want to send the world is to show, not tell. Create a body of work. This work should be easily found when someone searches for you, and it's only a slight bonus if the topics are relevant to the next job. A great hiring manager and/or company will look for the underlying skills: Can you write? Can you test and tinker? Can you grow an audience? Can you move with the modern times? This idea of showing not telling also applies to that typically bland resume/cover letter combo. Make sure yours aren't boilerplate but instead reflect the skills you have. In the end, you have an unfair advantage compared to anyone that came before: You play on the same channels where you aspire to work. There are no gatekeepers to you quickly launching things on the side. Now it's up to you to actually put in the work before you ever get the interview. You can show, rather than tell, simply by shipping more and better work. Need some inspiration to turn your intuition into action? That's why I'm building Unthinkable. Posted on June 14, 2016 by Jay Acunzo.